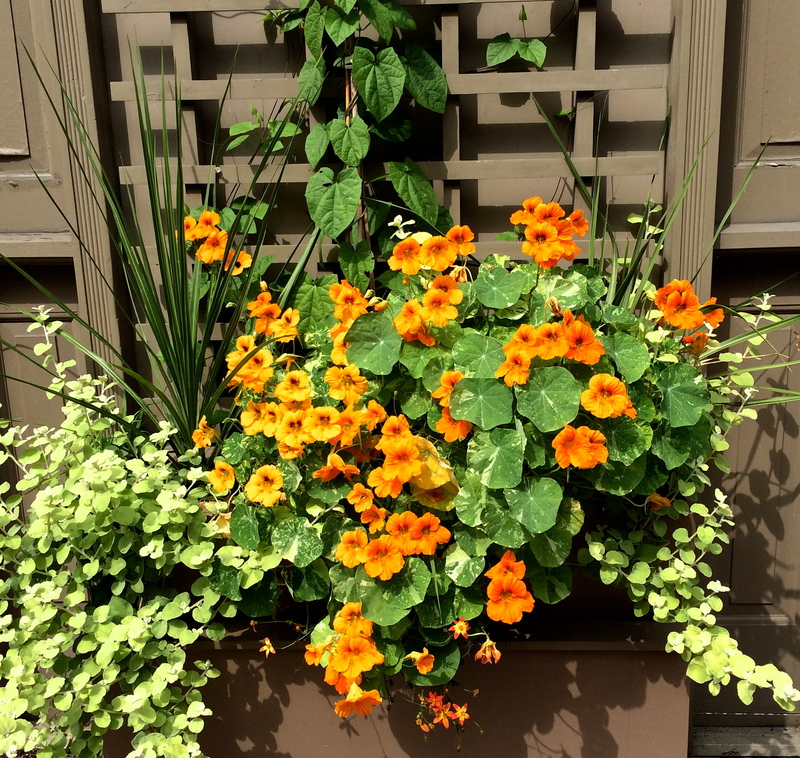 After a slow start, my nasturtiums are finally hitting their stride. I love these bright, happy flowers! They’re versatile, even-tempered, and ever-willing. Toss them into a salad — “no problem!” you can almost hear them say. 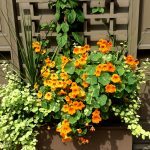 Add them for color and drape to a window box or planter, surrounded by more hoity-toity annuals, and nasturtiums will find a way to fit right in. Lately, I’ve been experimenting with pestos. Parsley, arugula, tomatoes have all gone under the Cuisinart knife. And wouldn’t you know it? The spicy nasturtium turns out to be the perfect foil for pine nuts, garlic, and parmesan. Fold it into a seafood risotto or spread it across a fresh baguette for the base of a wonderful sandwich or — what the heck, it’s summer! — just lick it right off the spoon. 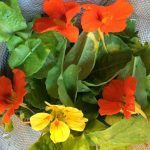 Bring a large pot of water to a boil and dunk nasturtium leaves for just 10 seconds. Drain and transfer to ice-water bath until cool, then thoroughly pat dry with paper towel. Place leaves, pine nuts, garlic, and oil in the Cuisinart; blend until smooth. Transfer mixture to a medium bowl and fold in stems and cheese. sent this recipe off to a foodie-friend..sounded like something she would try! 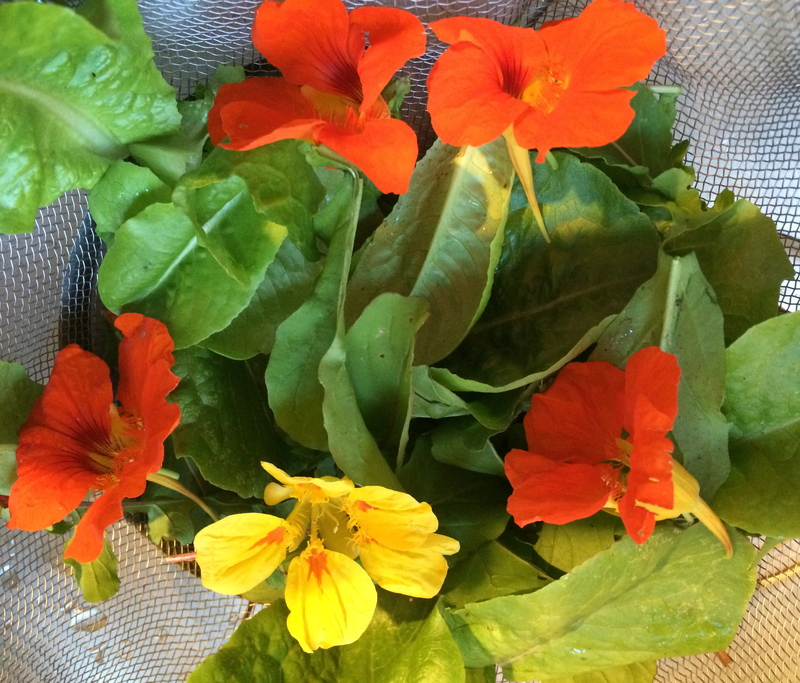 as for me: where does a city girl find nasturtium leaves? Trader Joe’s? Thanks, Annette! I would think most farmer’s markets would have them now. I’ve also seen them from time to time at Whole Foods. I’ll keep my eye out for you. 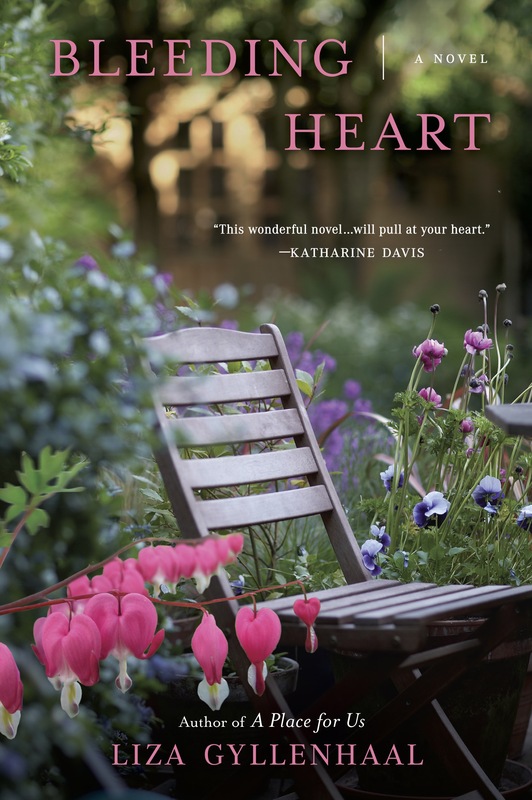 Hope your summer’s going well. Maybe we can give this a try next weekend!